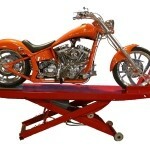 The ML-1000 Motorcycle Lift fits nearly any make and model motorcycle. 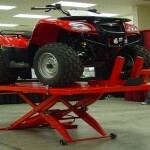 The optional front and side extensions extend it to fit three wheelers, ATVs, and choppers. 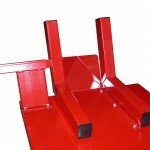 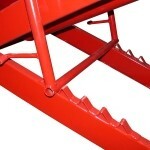 The lift comes standard with a front wheel clamp and rear approach ramp. 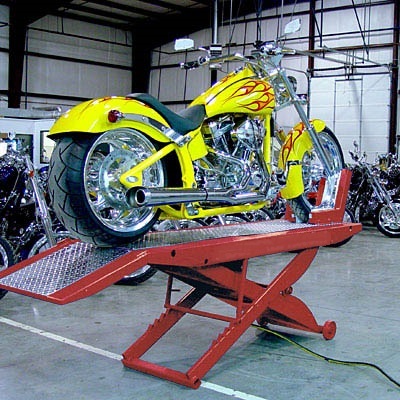 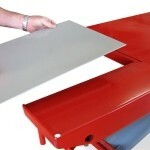 Add the diamond plated ramp to really turn your lift into the ultimate trophy stand for your bike. 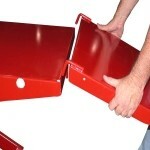 LOCKING POSITIONS 24", 26", 28" 30"